Alt practices what he preaches. An avid hiker, in addition to walking the 2,160-mile Appalachian Trail he also walked the 218-mile John Muir Trail with his wife, and trekked across a 50-mile path of Ireland with his wife, young daughter, and extended family. He and his wife emerged from the church doors on their wedding day wearing backpacks, and his son was taken on his first hike at 8 weeks. All this experience comes together in his book. 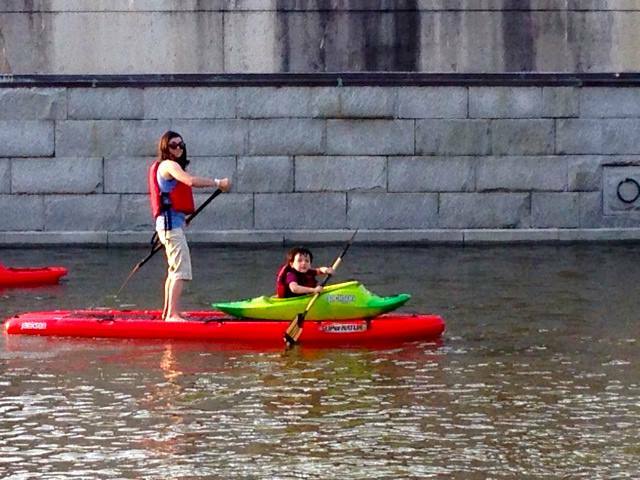 “It’s time to get off the couch and hit the trail with your kids,” he says. Start’em Young: Ergonomically designed baby carriers make it easy and fun to carry your infant and toddler with you wherever you hike. Walk to your Favorite Park or beach. Bring a friend. Stop often and let your little one explore. Make your hike a routine your kids will look forward to. Let the Kids Lead! Follow the leader! Hike at your child’s pace and distance. Whatever your child takes interest in, stop and explore that bug, leaf or rock with them. Tell them about the animals, rocks, trees, and flowers. Getting to the destination is less important than making sure your kids have so much fun; they will want to go again and again. Count Down to the Adventure: Psych the kids up with pictures, videos, and highlights of the places they will go and the things they will see. Use books, magazines, maps, and the Internet, especially park websites and videos showing the spectacular wildlife and locations they will see.  Footwear: Until your kids are walking consistently on their own (birth-3), fit them with a comfortable pair of water resistant shoes. Make sure the three and older kids are wearing light weight trail shoes or boots with a sturdy sole. A Vibram sole with a waterproof breathable liner is preferred. Wear non-cotton, moisture wicking, synthetic or wool socks.  Clothing: Dress for the weather! Wear non-cotton synthetic, wool & fleece clothes and dress in layers. Wear multipurpose clothes like pants that zip off into shorts or shirts with role up sleeves. Pack a waterproof breathable rain parka. Dress for the season with fleece hat & gloves or a hat with a wide brim for sun protection.  Packs: Get age and size appropriate backpacks that fit each hiker comfortably with hydration hose capability.  Trekking Poles: Get a pair of adjustable, collapsible poles with an ergonomically designed handle for each person.  Fresh, Clean Water: You can get a hydration hose system for your pack or just use bottles. Disinfect wild water using hi-tech portable treatment water systems such as a UV wand or micro-straining filter.  Communication: Bring a smart phone so you can take lots of pictures and if there’s connectivity, email to family or upload to your online blog or Facebook page. Carry a GPS unit to keep you located on the trail and for geocaching. Bring water and food kids love: Hand out needed extra energy and water as needed on the trail. Pack their favorite snacks and bring plenty of water. Stop often for a drink and a snack. Pack Fun Items: Let young children fill their adventure pack with a bug catcher, magnifying glass, binoculars, a camera, a map and compass, whistle, or flashlight. Let your little adventurer take ownership and pack a few items of his own; even if it’s not hiking related. Play Games and Bring a Friend: Play I Spy using your surroundings as you walk along. Create your own scavenger hunt in search of animals, plants and views along the way. Make up rhymes and sing songs as you walk. Pack along a plant and animal identification guide for your older child. Let your social butterfly bring a friend, with parental permission. Intrigue your computer savvy child with the high-tech hiking gadgets like GPS, headlamp flashlights and pedometers. 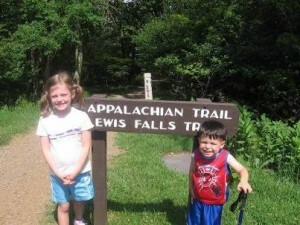 Use your GPS and take your kids on a geocaching adventure. 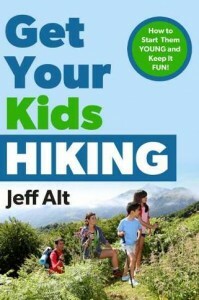 Jeff Alt is a travelling speaker and hiking expert who provides seminars in collaboration with the Shenandoah National Park staff, and Appalachian Trail Shows in and around National Parks. Alt has walked the 2,160-mile Appalachian Trail, the 218-mile John Muir Trail with his wife, and he carried his 21-month old daughter on a family trek across Ireland. Alt has been hiking withhis kids since they were infants. 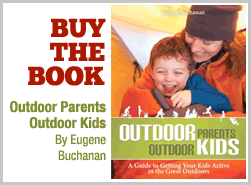 He is a member of the Outdoor Writers Association of America (OWAA). His hiking advice has been featured in numerous publications and media, including Scholastic Parent & Child, The Boston Globe, National Geographic Adventure, DiscoveryChannel.com, ESPN, Hallmark Channel, National Public Radio, and more. Alt is a speech language pathologist and lives with his wife and two children in Cincinnati, Ohio. His other books include A Walk For Sunshine, A 2,160 Mile Expedition for Charity on the Appalachian Trail, A Hike For Mike, and Four Boots One Journey (ebook).